The very first signature sneaker for Grant Hill is the Fila The Hill aka Fila Grant Hill 1. At first glance, The Hill resembles an outdoor hiking boot. 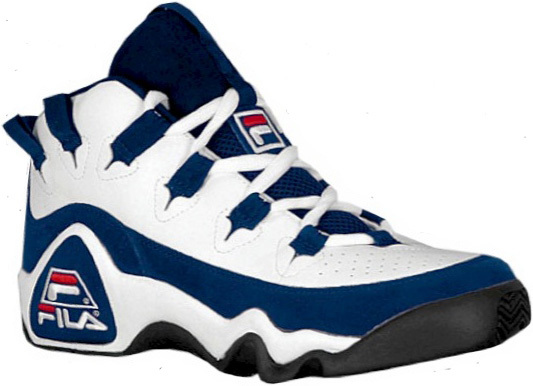 The roll-out colorway for the Fila Grant Hill I features a Detroit Pistons theme, basically a white/blue-red scheme. 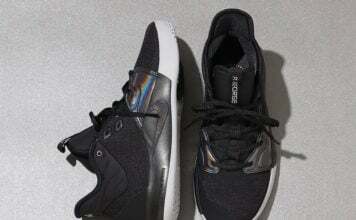 Lace loops start by the toe box and runs all the way around the collar. Finding an original Fila The Hill for sale in good condition can be on the difficult side.